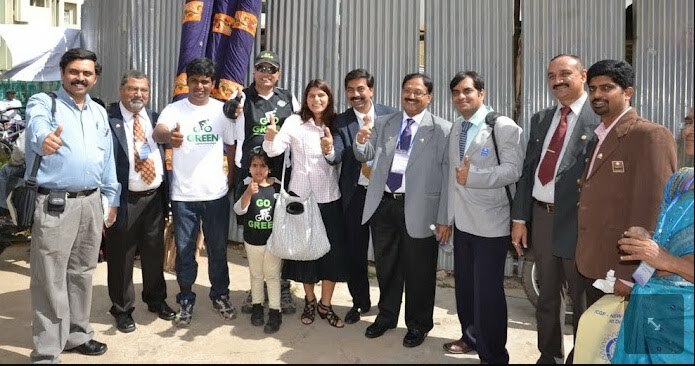 GoGreen & Metro Rotrary arranged A Special Ride 2 spread message 2 END POLIO.. - GGI-Group size: 4000+ Professionals, Increasing on day to day basis, Come & join us 2 serve Mother Nature. 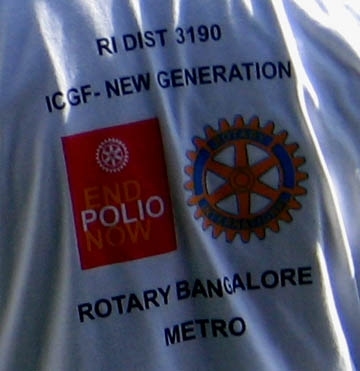 GoGreen & Metro Rotrary arranged A Special Ride 2 spread message 2 END POLIO..
B'lore Metror had arranged T-shirt with GoGreen logo @ the front side & End-Polio msg on d back. 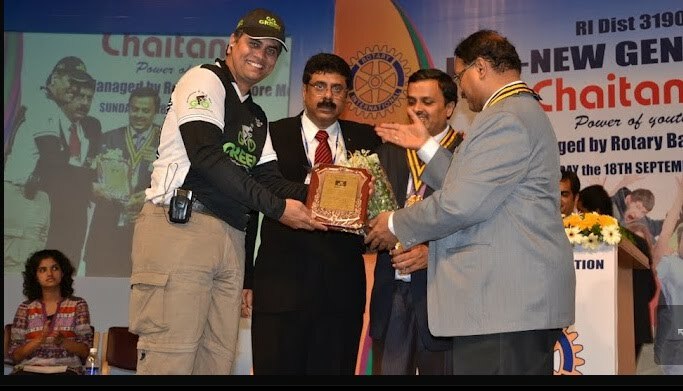 According to our orginal plan v were suppose 2 finish our rally by 9-30 than hv B/fast but d flag off was taking time. To save some time we quickly changed our plan then opted 2 have B/fast than start d rally. 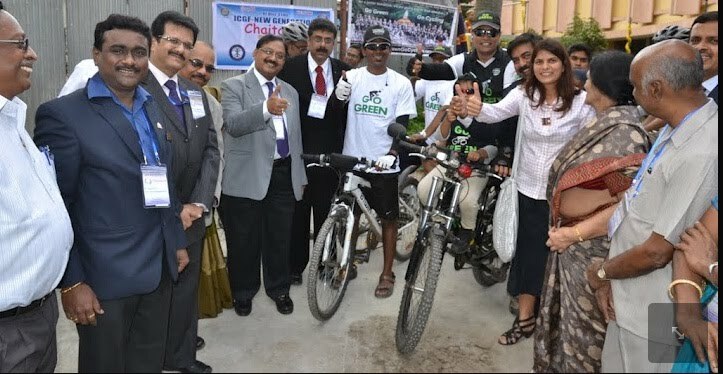 Within 20Minutes every one us, finished breakfast then came back 2 starting place. 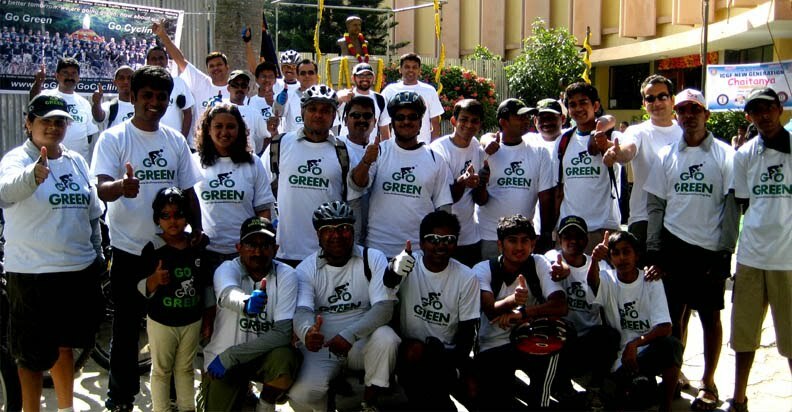 GoGreen Group Snap during the Event..
printed on every T-Shirt the rider was wearing..
promoting Green in the City.